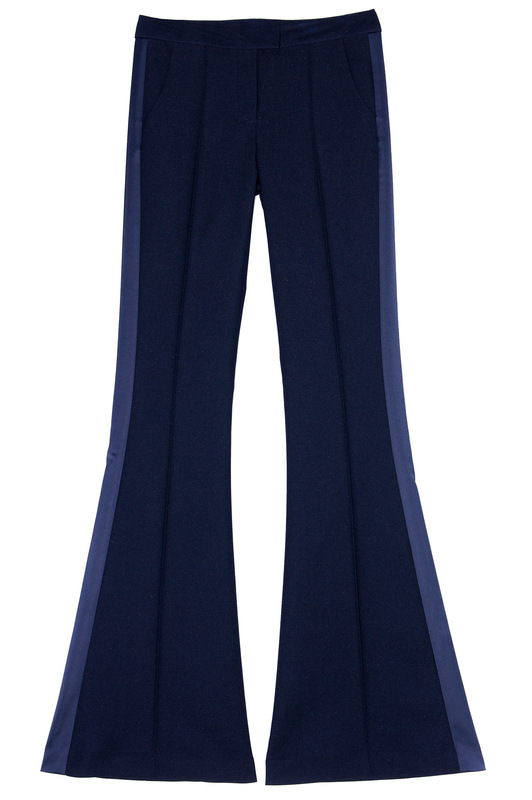 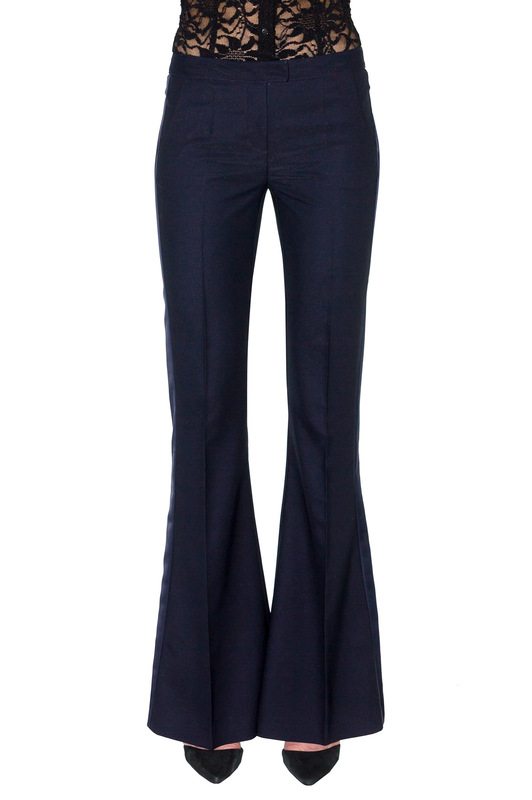 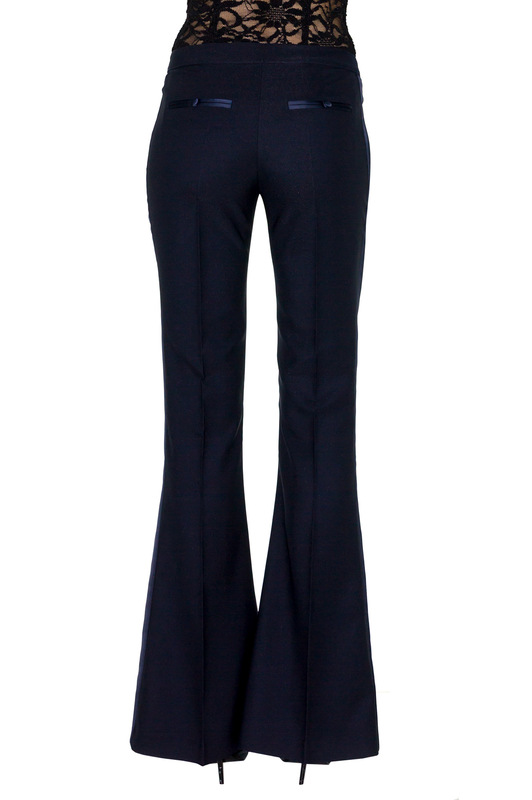 A flattering pair of bright navy blue tuxedo pants, perfect fit, bootcut, with same color satin strips along the side of the leg. 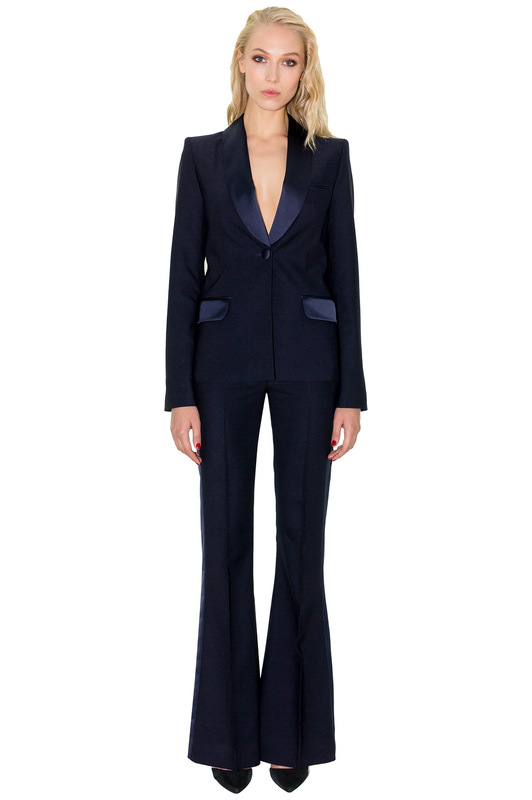 The intricate cut and delicate lines elegantly highlight the figure, lengthening the legs. 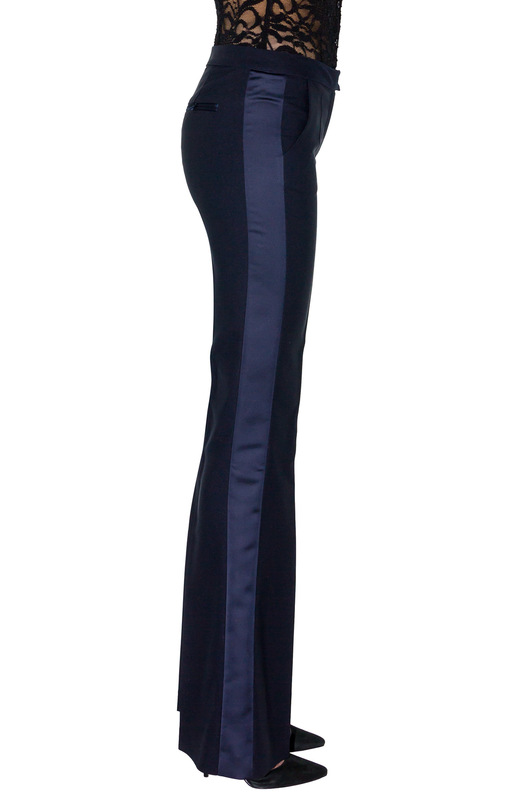 It is truly an iconic and classic piece, best to be paired with its matching classic navy tuxedo jacket or our double breasted jacket for a classy evening ensemble.